부에노스아이레스에서 여행하기 편리한 숙소를 찾고 계신다면 블루 소호 호텔만큼 좋은 곳은 없습니다. 도심까지의 거리는 약 4.0 Km이며, 공항까지는 60분 정도 소요됩니다. 본 숙소는 도시의 필수 관광 명소에 쉽게 접근할 수 있는 편리한 위치를 자랑합니다. 독보적인 서비스와 시설의 풍부함을 부에노스아이레스에 있는 본 숙소에서 맘껏 누려 보세요. 이 멋진 숙소에서 머무르며 Wi-Fi (무료/전 객실), 24시간 프런트 데스크, 여행 가방 보관, 룸서비스, 베이비시팅 서비스 등을 즐길 수 있습니다. 본 숙소에는 최고 수준의 편의와 편안함이 갖춰져 있습니다. 일부 객실에서 평면 TV, 무선 인터넷, 월풀욕조, 금연 객실, 에어컨 등을 제공합니다. 운동 마니아거나 지친 일상으로부터의 휴식을 위해 방문하는 고객들은 마사지 등을 즐기며 재충전할 수 있습니다. 본 숙소(블루 소호 호텔)는 부에노스아이레스에서의 양질의 숙박을 위한 다양한 시설/서비스를 제공합니다. 유아용 침대는 숙소에 직접 요청하실 수 있습니다. 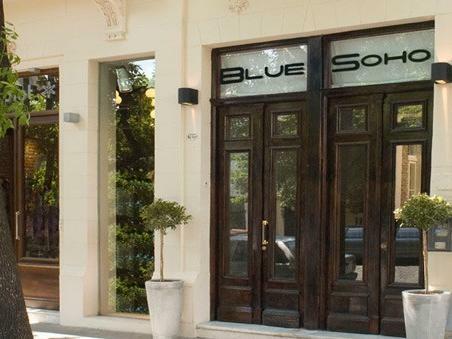 Our stay at the Blue Soho was good - the hotel couldn't be better located, in the heart of Palermo soho. The staff was friendly and the breakfast was well-served and the too was of a nice size, with a very comfortable bed and nice design. The only reason I wouldn't rate it with 5 stars is that the room lack a few important amenities: fridge, iron, coffee/tea maker and cups/cutlery. Great! i will come back soon. I already knew Palermo and wanted to come back and the experience with Blue Soho was great. 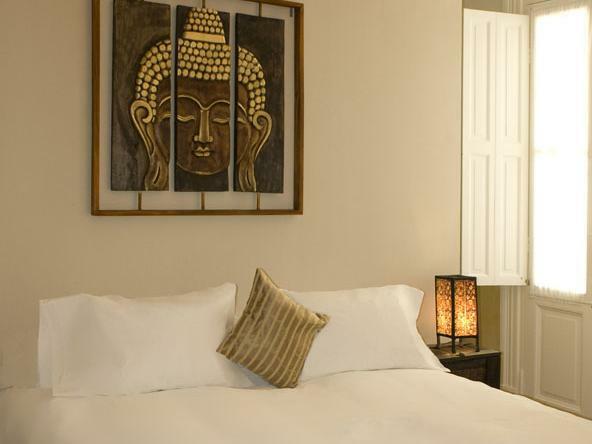 The staff was really helpful and the location is just perfect walking distance to everything you want to enjoy an incredible city like BA. the staff is clueless. they told us to take the subway when there was a city wide subway strike. the hotel is centrally located but the walls are paper thin and the hotel has an inner courtyard tht turns into an echo chamber at night. it's very noisy when guests are coming and going. Staying in the smallest room was not a disappointment as it was cosy had a good shower and even a little outside space. Staff were helpful and welcoming, with ideas of what to do if needed and a selection of travel materials. Breakfast was a selection of medialunas, pastries, orange juice, tea and ham and cheese. Location in heart of Palmermo for restaurants and boutique shops. 20 min walk to metro stop. we liked the blu soho hotel very much. it is located in the middle of palermo which is my favorite district of BA. good shopping possibilities, bars and restaurants next door. 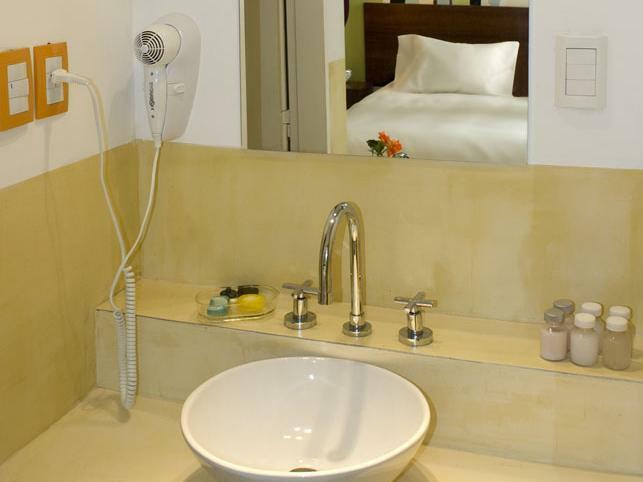 Why this hotel has gotten good reviews is baffling. It is true that the staff is really nice and helpful and the location is excellent. The design is minimal trendy and somewhat esthetically pleasing. However, this is one of the smallest and worst deigned rooms I have ever seen at this price point - or half the pricer. To put this in perspective we have spent at least 70 nights in boutique hotels in the last year. Examples include no place to put more than one roll on size bag anywhere it is out of the way. A television rack with sharp edges that sticks out just where you can hit it crossing in the two feet between the bed and the wall. No place at all to put soap in the shower, other than the floor. My impression, based on 25 years in the resort industry is that the owner and designer have excellent esthetic taste and a sense of hospitality but not a clue about the pragmatics of hotel design. 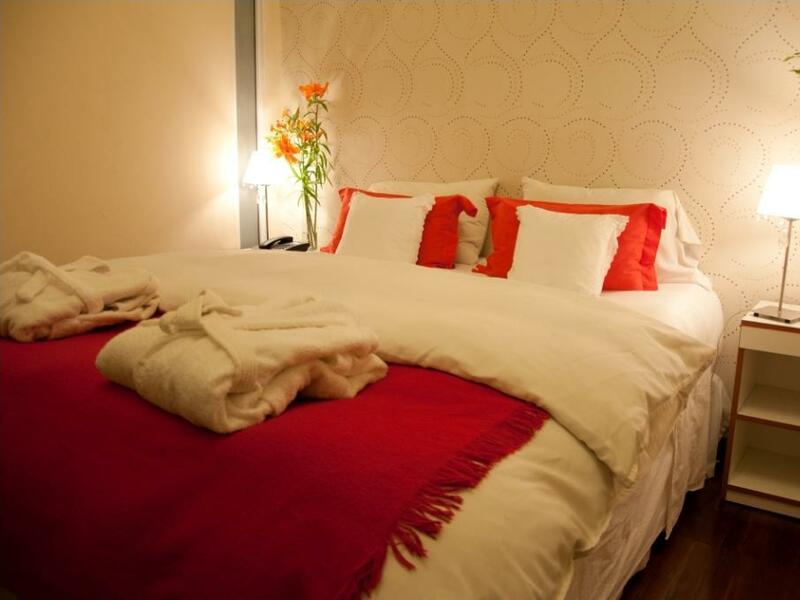 Hauptpluspunkt ist die zentrale Lage in Palermo Soho,das Hotel hat auch Boutique-Charakter. Nachteil ist, das viele Zimmer kein Fenster nach draußen haben und gemessen am Anspruch des Hotels eher klein sind. Die sehr gute Lage macht dies aber wett. das hotel ist in einer sehr guten lage. jedoch ist es in keinem fall ein vier sterne hotel. hat dem hotel vier punkte gegeben, aber es sind keine vier sterne im klassischen sinne. die zimmer im EG haben noch nicht einmal fenster. die zimmer haben das bad im zimmer integriert, also kein extra badezimmer. das zimmer im ertsen OG war ok. aber vier sterne: NEIN! schade! zu teuer für das, was es bietet! jedoch ist das frühstück, entgegen der angaben, inklusive! lecker, einfach und gut. personal ist sehr hilfsbereit... schade. nochmal würde ich es nicht buchen, dafür ist es zu teuer. Hotel descolado, excelente localização, vida noturna. il quartiere di palermo e' un bellissimo quartiere pieno di negozi e ristoranti carateristici. la metro e' un po' lontana ma si trovano axi a tutte le ore . l'hotel invece e' staat una delusione . le stanze troppo piccole , senza finestre , la pyulizia lasciavca a desiderare . e' un hotel che offre anche un servizio di happy hour per cui la sera ci sono molti avventori fino a notte fonda.